A fish statue aligned such that it looks like it is about to swallow (or is spitting out) the moon. 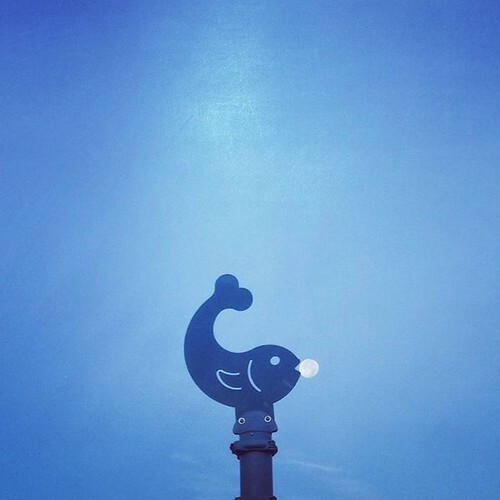 As I finished my run today, I usually end up walking by Gillis Park, where this fish stands atop a playground. I was walking by it and noticing the moon so bright in the morning and realized that this could be a great shot. It took a little bit ot light it up just right, but I like how it came out. I also did a shot with the moon between the tail and the back of the fish, but it didn't seem as compelling as this one.